1. Does your insurance company expect you to pay salvage costs that should be paid by them? Most people say the main the reason they buy insurance is to cover the ?big things.? The most common types of catastrophic insurance claims are sinkings ? which can happen to anyone ? or hurricane claims, which destroy your boat and leave it in pieces in the neighbor?s back yard. In both of these cases, it is the policy?s ?salvage? coverage that will pay to remove your boat from the bottom of the lake or from your neighbor?s back yard. A good policy has separate and full salvage coverage (up to your policy?s limits) for the costs to remove the boat that is not less than or limited to a percentage of the ?hull? value (which is the part of the policy that reimburses you for actual the loss of the boat). A bad policy reimburses you for the loss of the boat, but could make you pay some salvage fees out of your own pocket ? and isn?t that what insurance is for in the first place? 2. When you have a claim, how much help will you get? When insurance companies handle a claim, there are two schools of thought: those that are ?hands-off? and those that are ?hands-on.? A hands-off insurance company believes you should do all of the work. With a big claim, that could include finding a salvor, crane company, barge and trucking service on your own, and then reimbursing you. A hands-on insurance company ? usually a specialty marine insurer ? has access to these unique services 24/7 and wisely negotiates pricing, hires and pays these contractors for you, and can arrange for and even guarantee repairs. 3. Does the policy have ?consequential damage? coverage? In the world of boat insurance, catastrophic losses that include fire, explosion, sinking, demasting, collision or stranding are considered a ?consequence.? For example, when your boat sinks due to rusted, through-hull fitting breaking off, the sinking is a consequence of the broken thru-hull. Good boat insurance policies include ?consequential damage? coverage for these specific catastrophes. In plain English: if consequential damage is not covered in your policy, almost every sinking or fire could be excluded as a result of ?wear and tear.? 4. Do you want me out of harm?s way? A better insurance policy will offer 24/7 emergency claims response that can immediately step in with the necessary resources to prevent further damage. And if you live in a hurricane zone, it will also share the cost of a haul-out to move your boat to high ground or pay a captain to move it to a hurricane hole. 5. What are you doing to reward me? A good insurance policy will give you credit for not having claims and reward you with things like diminishing deductibles that reduce the amount of your deductible for each year you remain claims-free. If you?re not satisfied with your insurance agent?s answers to these questions, it?s time start shopping around for a better policy. 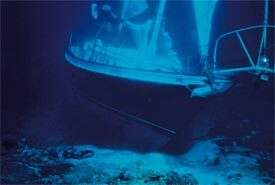 For more information on boat insurance, or to get a free quote online, go to www.BoatUS.com/insurance.